Sunday afternoon conversations, at their best, tend to be luxuriously meandering. Such was case last Sunday when the topic turned to memories of a friend’s Grandfather. I had been admiring the old and crotchety orange cat strolling under the kitchen table, when my friend mentioned that his grandfather had always referred to that cat as a dog. Even in grandfather’s more youthful prime, “He tended to name things randomly and incorrectly a lot.” That was just the kind of person he was. I had to mull that over for a while. What kind of person, a super-competent English speaker, mind you, incorrectly labels things? The recalling of grandpa calling a familiar housecat a dog, drew a picture in my mind of a bemused, quietly confident man, pleased with his place in the world. Judging by the affectionate tone of this story, his grandson would love him anyway. 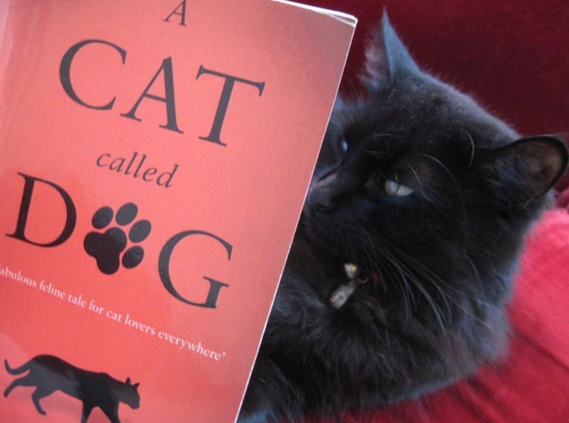 Later, in Citizen Sociolinguistic mode, I began to wonder: How else do people seize the language and playfully make it their own—metaphorically “calling the cat a dog”? And what happens when they do? In contrast to my impression of grandpa as a creative, bemused man, comfortable in his own skin, a quick Google search for “saying words wrong” primarily yielded sites discussing dementia, aphasia, multiple sclerosis, learning disabilities and speech disorders. Some long discussion boards feature people anxiously recalling when they told their children to find a dish “in the oven” when they meant “dishwasher,” or calling their children by the dog’s name! (Nota Bene: I’ve never done that.) Many responses speculate these people have brain lesions. All these sites frame misusing language as a health problem. But a search for “intentionally saying words wrong” leads to a much more fanciful set of examples. The Wikipedia entry for Malapropisms comes near the top of the list, and highlights a few of the more entertaining literary versions. Authors put the “wrong” words into certain characters’ mouths to bring out their whimsical or quirky nature. The literary figure, Mrs. Malaprop (namesake of the term), most famously utters “a nice derangement of epitaphs” rather than “a nice arrangement of epithets.” The know-it-all quality of her character emerges through these silly missteps in speech. The more she tries to sound sophisticated, the more she sounds ridiculous. Obviously, Bushims are different from those malapropisms intentionally put into the mouths of literary characters. But are they as “unintentional” as someone with Alzheimer’s disease? Do these politicians have brain damage? No. Michael Silverstein has pointed out in his “pamphlet,” Talking Politics: The Substance of Style from Abe to “W” (http://www.prickly-paradigm.com/titles/talking-politics-substance-style-abe-w.html) that Bushisms (the modern Malapropism) may even be strategic: Phrases like “a single mother with two children” working hard “to put food on your family” seem to have been a political boon for Bush. Because of the light-hearted, charmingly all-too-human light these oddities cast on him, they made him seem like good Presidential material. Strategists did not squelch Bushisms (as one might if they suggested brain damage) but encouraged the wide circulation of these malapropisms/Bushisms. Departing further from the Internet Web for a dip into the philosophy of language, I pulled Donald Davidson off the dusty, dusty shelf, recalling his essay, ”Reality without Reference.” Davidson has captured the value of “calling a cat a dog.” Communication, he suggests, has less to do with conventions or rules than understanding one’s context and how one’s words affect it. As he has written in that essay, “we must give up the concept of reference as basic to an empirical theory of language .” Instead, language is something we take out and play with, using what we have learned, trying new things, waiting to see what happens, acting on the world through words—in many cases ignoring their dictionary-designated reference. The many Internet sites on dementia suggest that if we use words in new ways without meaning to, we may have a serious mental health problem. I am not denying that these may, indeed be signs of mental impairment. But “dementia” might not be the best first explanation. When the use of non-conventional language gets framed, first off, as a learning disability, speech impairment, brain damage, or some other health problem, much of the world responds by struggling hard to conform to rules of language that should be ignored. Meanwhile, the happy few—great writers, political strategists, comfortably aging Philadelphians, teenagers around the world, hip-hop artists, university faculty—are flaunting those rules, happily using words the “wrong” way. In a perversely malapropistic way, using words wrong(ly) doesn’t lead to the downfall of the language, but might be one of the most sophisticated things a speaker can do. Do you know people who intentionally use the “wrong” word? To what effect? Please comment and share your examples below! After my last post, some readers took immense issue with my use of the phrase, linguistic gentrification. I pointed out that sometimes privileged, white people use phrases taken from the life ways of black and brown people without knowing the deeper story of that language. I wanted to suggest that, just like neighborhoods, our words have had previous residents. It seems very different to acknowledge its complexity than to completely dismiss as a viable concept. The dehumanizing and scapegoating is so woven into the frame, I can’t see how you’d extricate it. 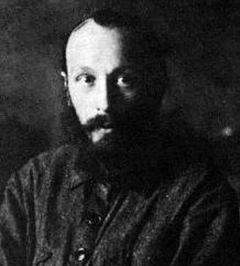 Any word I use, to quote Mikhail Bakhtin again, comes already “populated—overpopulated—with the intentions of others”(1981, 294). And, clearly, I had blithely used the word “gentrification,” not knowing the previous intentions of others using it. I hubristically thought I could, in a 500-word blog post, populate it with my own intentions: A useful analogy for a linguistic process. Not so? In my own defense, these responses also illustrate the point I was trying to make: I was “gentrifying” the word “gentrification”—attempting to people it with my own intentions, the same way people take over neighborhoods with theirs. But in that short exchange, we also began illustrating the positive potential in such a process by constructing a new social history for the word “gentrification.” And we began to use it as a way to think about language too. Again, like language, gentrification seems to take on a life of its own. No matter how much we say about it—whether it is good, bad, important or controversial, it is happening. And, like language change, it is hard to stop. We live in a world of others’ words, others’ intentions, and we navigate it. As citizens, and certainly as Citizen Sociolinguists, I urge readers to explore the range of perspectives on it—and that we do it together. Have you ever had a moment when you realized you live in a “world of others’ words”? What words have you used that – perhaps too late—you have realized are “populated with the intentions of others”? How did you learn about those intentions? Please comment below!